We love to help capture the memories at a wedding. But this time, Time into Pixels really got to glam it up, with Joey & Ali’s big day! We spent New Year’s Eve with them and their loved ones, at the Machine Shop, here in Minneapolis. It was an exciting evening for everyone, with festivities to keep even the most active party goer busy! We’ve always enjoyed working events at the Machine Shop. 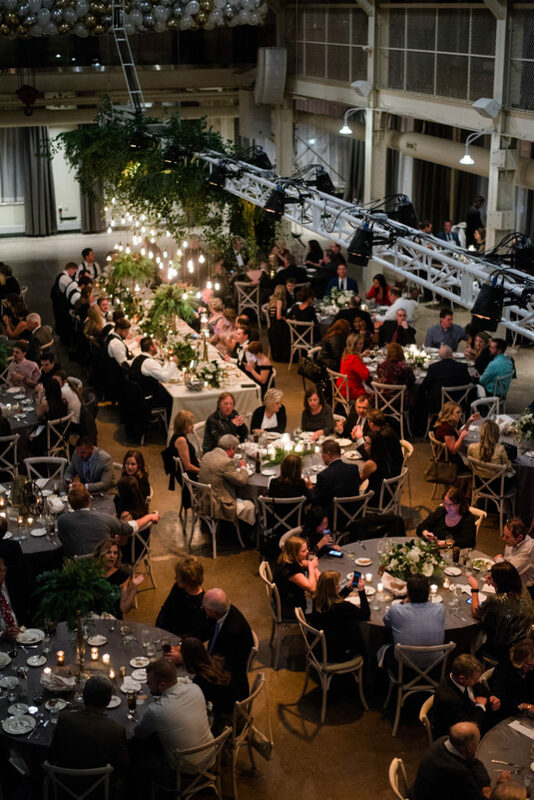 If you need lots of space for your event, in the St. Anthony neighborhood of Minneapolis, be sure to check this one out. For the last three years, they’ve provided a large and well-run venue for even the biggest parties. 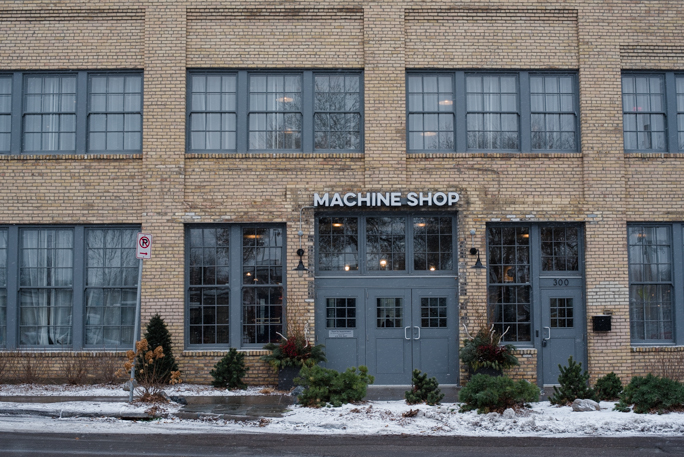 The Machine Shop has an industrial feel to it, with a historic atmosphere that still has a sense of fun. Not to mention the flawless, contemporary luxuries available, which might come as a surprise to your guests! Joey and Ali found a fantastic wedding planner in Laine Palm Designs. The whole night went off without a hitch, and everybody had a great time! The happy couple also really lucked out in choosing a florist. Studio C Floral provided them with flowers that were incredibly fresh and lovely. 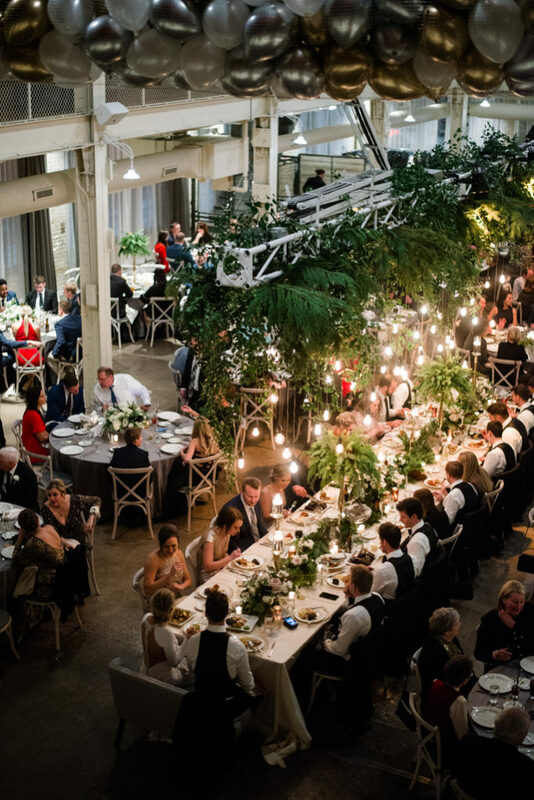 All the decor suited the venue perfectly, of course. One of our favorite moments of the night came at the end of the countdown to the new year, with a surprise balloon drop! Joey & Ali wanted to make sure all of their guests had wonderful memories of the night. The open style photo booth rental from Time Into Pixels Photography and Photo Booth was a big part of that! With a glamorous background, guests had an excellent time taking photos, both silly and serious. Joey and Ali had asked us to stay longer than usual, just to make sure everybody got their turn, and we were happy to help! As you can see, the photos turned out beautifully. We also put together a photo-strip album for the happy couple to keep, of all the photos from the night. We even had their guests write their best wishes inside! If you want to make sure the guests at your next event get to have just as much fun, contact us now! Time Into Pixels is looking forward to hearing from you!